Over the first few years of its existence, Golden Bell Studios has been aggregating Kickstarter games and developing their own, publishing comics, producing plush, and signing a raft of licenses for games that will start to hit the market in 2019. Those licenses include Lost, Once Upon a Time, Naruto, Rugrats, SpongeBob SquarePants, Avatar The Last Airbender, and Superbad, among others. We caught up with Golden Bell CEO Marc Goldner to talk about the company and its plans. 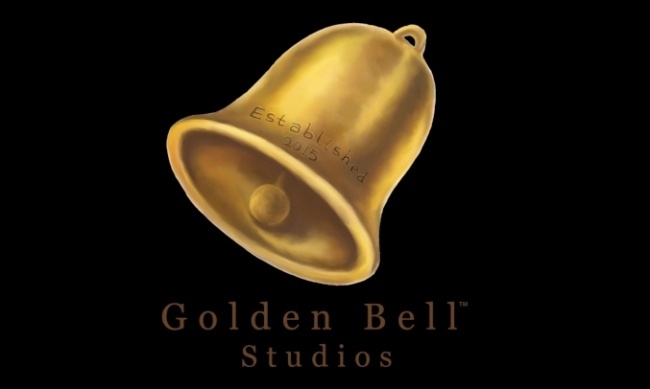 How was Golden Bell founded? Marc Goldner: Rachel [Korsen], Rob [Gross], and I started Golden Bell back when we were in college, back in 2014, 2015. We all went to school together at Ohio State. We really wanted to be able to create a new type of company that would be a mix of multimedia and transmedia that wouldn't just focus on just a story or just a game, but that would be able to take ideas and concepts and create products around them, build brands, and essentially create a company that people could grow up with. You started by publishing comics? We started with The Sunday Comics. 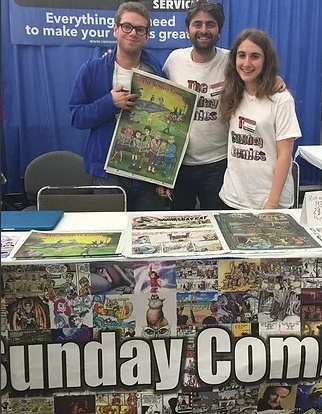 We worked with several hundred people on comic strips. That's still an active, ongoing project because people are still submitting new strips and new stories. Then, there's other properties where we partnered with people and Rachel has either done the art, or Rob and I have done the writing or editorial, for example Unbroken. That's the most recent game project we have where Rob and I were the writers on the project with Artem. Rachel has done some of the art, I think about 17 or 18 pieces of the paintings. You've got some house IP, but you also do licensing. How does the licensed stuff fit in? With Nickelodeon, we're working on over a dozen properties, from Rugrats, to SpongeBob SquarePants, Avatar. The licensing aspect, in terms of sales, is very interesting because it's an established market. Our go-to strategy for the market is different than, let's say, just Kickstarter. Some of the projects will be on Kickstarter, such as Lost or SpongeBob SquarePants, but others won't be. You mentioned Kickstarter, it looks like you've been doing that for a while. Tell us about your Kickstarter experience. Kickstarter has been a big learning experience for us. We've done some projects ourselves where we had created the books or done some games. We've been fully in control of that, the deliverables. Then we had other Kickstarters where, as a learning experience (probably we'll never do this again) we partnered with people that had existing Kickstarters and then tried to help them finish it. Some of these have been successful, where we've been able to help people take it over the edge like In a World with Dinosaurs, which was delayed a few years. Then we brought it all together, got it produced, and we actually just shipped it a couple days ago after it was delayed a few years. That's an example of us not having full control over the accounts. When we had partnered with some of these designers or artists, there was still a lot of heavy editorial that needed to be done on these games. Some of the projects had hundreds of typos. Some weren't print-ready files. Some were RGB and not CMYK. For us, it was a learning experience that what we want to do on Kickstarter is be able to pretty much have the project ready prior to everything going on Kickstarter. That's part of a new model that we've learned. It doesn't make sense to have this "estimated delivery date" when we don't know if people will be able to meet their own deadlines on design or art. It requires more work now for us to get things ready. Our most recent one was Lunarbaboon. Pretty much everything there was ready but we still can't really predict. If it makes a lot, we still have stretch goals. Those stretch goals can delay things a couple months and push back the estimated delivery date because so much more has to be put into the project. Did you have a retailer level? We did have a retailer level for Lunarbaboon. And we had a bunch of retailers that hadn't actually backed on the Kickstarter only but had contacted us through our back channels because we have a new website we just launched, goldenbelldirect.com, which is a consumer/retailer B2B site, where people can choose different case packs. Whether it's 8 or 24 of different products. We've built up accounts. We've gotten a lot of orders for Lunarbaboon and Unbroken on the back end, outside of just Kickstarter. We understand that you're not going through distribution. Kickstarter and direct from Golden Bell are the two ways that retailers can get your products, is that right? Correct. That is the main two ways that people can get it. That's why we called it Golden Bell Direct because we do want to be able to go, not only direct to customers, but direct to the retailers. We want to be able to provide market access and actually support the retailers as best we can, giving the discounts that the retailers would need to make the sales profitable for them. Our experience with working with some of the distributors has been less than ideal. It's very difficult for a smaller company or an up and coming company to work with distributors that have very crazy payment terms and sometimes don't pay. We want to be able to get the retailers the projects, but also enforcing that policy where a company like Amazon isn't going to undercut the retailers because we still want the friendly local game stores to be able to get a sale if someone is in the store and looks it up on Amazon. They see, "OK, this is a price that is the same as Amazon. I'm going to buy it in the store now." Looking at Golden Bell Direct, do we understand correctly that you're selling in increments of eight for wholesale? What do you say to a retailer that says, "That doesn't work for me. I need six. I need 10?" On those type of cases we do case by case situations where we have done pick and packing for some of our retailers before, selling six Unbrokens or four Movie Buffs. I know that's a big value of big, established distributors that they have that very easy to do, where they can order single units. For us, we aren't there yet where it's streamlined to that point but we do those custom orders for retailers that have requests, and we've never had an issue yet. We've found that most people do wind up ordering in the increments, which is why we've done case packs in increments of four or eight, depending on how heavy the game is so the box doesn't break. Have you done any sales to chain retailers, Target, or others? Right now, we're in discussions with a lot of the retailers, Target being one of them. That's been something where we are very hesitant. We want to make sure that if a product is going to Target, it's not going to be sold for $12 when it's selling in stores for $25. We're trying to figure out that good middle ground in pricing negotiation with these more mass-market stores, which do sell volume, which is always good for a brand. We also don't want to harm sales in other outlets, such as game stores or Amazon because then the price is just a race to the bottom, who can get the cheapest product. Right now, we've explored exclusives at these stores that have different components or special cards to make it different for these larger retailers than for the main product that we're selling that has the highest quality components that a lot of gamers request. What are your best-selling games? Our best-selling games right now are The Contender, Pretending to Grow Up, Movie Buff, Unbroken, and Kings of the Castle. Those are the games. The best-selling plush, actually, just this past Christmas, the Marshfellows were the number one selling plush on Amazon, which was tremendous for us. We were honestly a bit surprised that we passed some of our major competitors. It was really cool to see that at number one. What are you looking forward to among the licensed games? We have a game with Sony's Superbad called Dicktionary, which is a party-style game based on the movie. We do think that's going to do very well but it's not out yet. It's coming out in 2019. I do believe that Lost is probably going to be one of our best sellers just because of a very active fanbase. Obviously, Naruto Shippuden is the biggest anime in the world, essentially. We expect that to do pretty well when we launch it around August of this year. Are you still publishing comics? 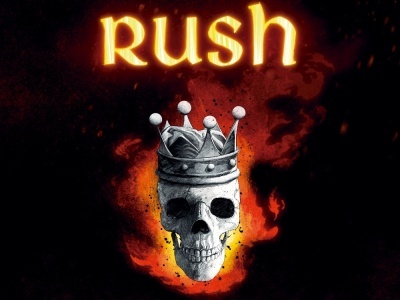 What are your best sellers there? We are still publishing comics. 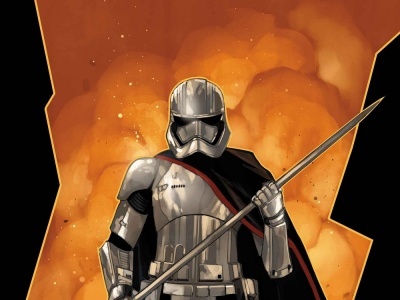 Our big focus has been on Sunday Comics where we preview a lot of the stories that are coming out. Night Prowler, we just wrapped up that entire graphic novel. We're not actually doing single issues, floppy issues, with comics. We're developing and creating the graphic novels in their entirety prior to sales. Knight's Legacy is one of our flagships, part of the Majestic Universe. Our editor‑in‑chief, Michael Sacal of the comics division, that's his baby that he brought to us. He's from Mexico City. He came on. He's been really amazing. He's been with us, really, nearly since the beginning of Golden Bell. He's been around with us for almost three years now. Those are the two big comics that will be coming out first. Night Prowler and Knight's Legacy are the two flagship titles that we have coming out. How are you going to distribute those? That's also going to be direct. We may use Kickstarter for Knight's Legacy because that's been something that Michael's been promoting for literally nearly a decade. A lot of people in the community are very aware of the property. As far as more widescale distribution, we've spoken with Diamond. It's very risky for a distributor to work with a new company that has very few titles, especially when there's so much great stuff coming from all the companies. Whether it's Marvel, DC, Image, Dark Horse, there's so much great content out there that a lot of the stores have very limited shelf. We have been focusing mostly on ecommerce because of that. We're very aware that we have competition. It's not just bad stuff. We're competing with some of the best content in the past 50 years in comics that's being developed. Anything else that you want to get out there to our audience, which is primarily retailers? I'd ask them if they'd like to open up an account and learn what we're doing, we'd love to talk with them. Rob or myself are the ones that deal directly with all the retailers. Rachel deals with all the marketing. Any retailers that are working with us, pretty much you guys get to work with the founders of the company and not get pushed to a salesperson that you may not really know or that may come in and out. We really do focus on the relationships that we have with our customer base and our retailers to make sure that we give our retailers products that they will be able to sell and not things that will just collect dust on the shelf. We do look at the demographics of the area and the other products that are in stores that sell well and say, "This is a good product for you. Don't buy this one because we don't think it's going to do well in your area." We do supply demographics and marketing material for free.